Employment firms often have employees on the road as part of their job, making it imperative that mileage tracking is accurate and easy to manage for employees and managers. These mileage tracking best practices for staffing firms will show you how to most efficiently track and reimburse for mileage and to prevent over reimbursement. The first step for tracking mileage is determining whether the mileage is reimbursable. Mileage from the employee’s home to the work location is generally not reimbursable except under particular circumstances, such as when the trip is outside normal work hours. An automated mileage tracking system can determine whether the miles are reimbursable based on the address provided. If the user inputs their home address to the location, the system can automatically alert the user that their regular commute is not reimbursable. Calculate as accurately as possible. Employees will sometimes round up when they’re calculating their mileage, which can cause over-reimbursement. Rounding up from the nearest half mile might sound reasonable, but if an employee makes this trip regularly over the course of a year, that can add up quickly to tens or hundreds of extra miles reimbursed that weren’t actually driven. The solution is having an expense reporting software that comes with automated mileage tracking using a GPS and Google Maps integration. This allows employees to quickly enter a start and stop address to calculate the most accurate mileage, down to a tenth of a mile, saving your organization from over-reimbursement in the future. Clarify the purpose of the trip to ensure compliance. One reason that mileage may not be approved is that the purpose of the trip could be unclear. It’s essential to make it clear how the trip is related to the job. This is especially true of a manual mileage log, which eats up employee time. Instead, automated software can ensure that mileage meets policy requirements. The system can automatically deny any mileage tracking submission that does not need company rules. Make mileage tracking easy (and mobile). When tracking mileage is difficult, employees are less likely to tackle this task accurately because they put off the work for longer. The solution should be easy enough that employees will actually use it and will use it correctly. The right software solution offers a mobile solution that’s intuitive enough that employees don’t need to be trained to use it correctly and easy enough to implement it into their regular routines. Plus, the system should work well with your existing expense reporting processes, so an all-in-one mileage tracking and expense reporting solution will work well. 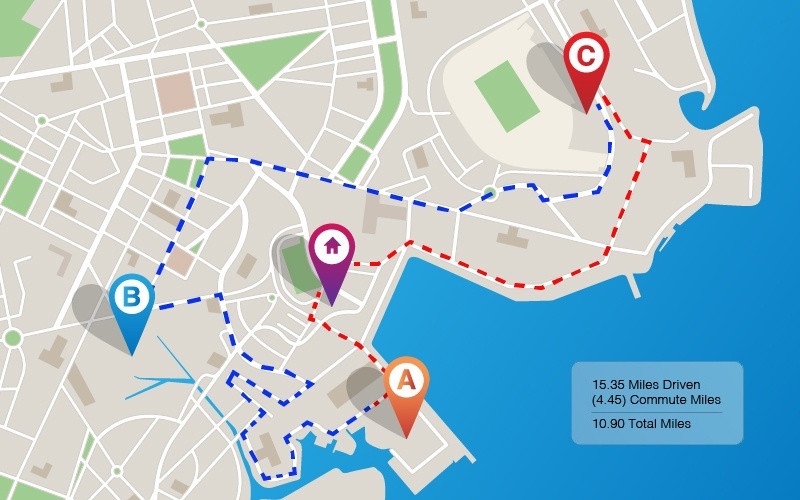 Tracking mileage doesn’t have to be a task that employees, approvers, and managers dread. Instead, automated mileage tracking for staffing firms can simplify your processes and prevent over-reimbursement. Learn more about how DATABASICS Time & Expense for Staffing Firms™ can help your organization. For more information on the DATABASICS Time & Expense solutions, contact us, or call (800) 599-0434. DATABASICS provides cloud-based, next generation Expense Reporting, P-Card Management, Timesheet & Leave Management, and Invoice Processing automation. Specializing in meeting the most rigorous requirements, DATABASICS offers the highest level of service to its customers around the world. DATABASICS is relied upon by leading organizations representing all the major sectors of the global economy: financial services, healthcare, manufacturing, research, retail, engineering, non-profits/NGOs, technology, federal contractors, and other sectors. DATABASICS is headquartered in Reston, VA.
Connect with DATABASICS: LinkedIn, Twitter, and YouTube.